HerStory (Durre Shahwar): I’m a writer, a book reviewer, and an MA Creative Writing graduate. As a South Asian female, I’ve identified as a feminist, since a teen and to this day, I’m writing about what that means and trying to put my experiences into words. My blog was named ‘Herstory’ after my research into Woolf’s A Room of One’s Own during my degree. The term has been the driving factor behind my writing. We all have stories to tell, voices that need to be heard, especially from women of colour, and I hope to be one of them. On my blog, I write book reviews and other content related to the craft of writing and sometimes, academia. I’m interested in fiction, non-fiction, poetry, mental health, intersectional feminism, gender, religion, art, yoga – though not always in that order or mixture! I’m slowly getting my writing published, and trying to review more book by women/women of colour, for which, I am happy to be contacted for via my blog or on Twitter: @Durre_Shahwar. 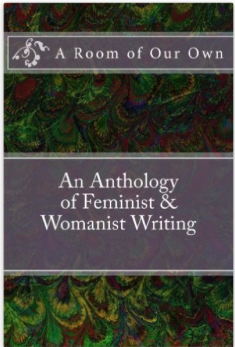 A Room of Our Own: An Anthology of Feminist & Womanist Writing is a collection of essays, poetry, and short stories written by women. The proceeds of this book will be used to support this platform covering the costs of hosting and website maintenance and development.